In the present randomized controlled trial, the effectiveness of multisystemic therapy (MST) in The Netherlands was examined. Moderator tests were conducted for ethnicity, age and gender. The sample consisted of N = 256 adolescents, referred because of conduct problems, and randomized to MST or treatment as usual (TAU). Assessments (questionnaires and observational ratings) took place before and immediately after the treatment. 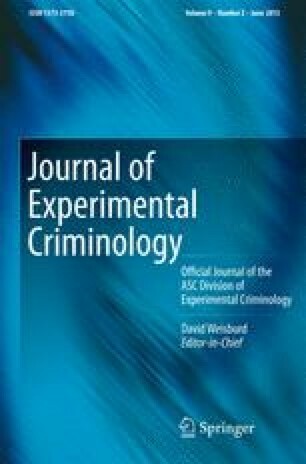 MST was more effective than TAU in decreasing externalizing behavior, ODD, CD and property offences, but not for violence. Findings were mixed for adolescents’ and parental cognitions: the MST group, compared to TAU, showed an improvement in parental sense of competence, and a decrease in adolescents’ hostility, but no change in self-esteem and an increase in personal failure. MST was effective for positive dimensions of parenting and associations with prosocial peers, but not for relationships with deviant peers. MST was equally effective for adolescents of different ages and with different ethnicities. However, MST showed larger (and more positive) effects for adolescent cognitions for boys than for girls. Effects of MST in The Netherlands are generally comparable to the positive findings reported in American and Norwegian trials. MST seems equally effective across age and ethnic minority groups, but some gender moderator effects were found for adolescent cognitions. This work was supported by grants from the Netherlands Organisation for Scientific Research (NWO) and The Netherlands Organisation for Health Research and Development (ZonMW). We thank the therapists and staff of De Waag and Yorneo for their cooperation, and the adolescents and families who participated in the project. Blom, M., & van der Laan, A.M. (2006). Monitor Jeugd Terecht. Retrieved November, 24, 2009 from http://www.wodc.nl/onderzoeksdatabase/monitor-jeugd-terecht-2006.aspx. MST services (2011). Multisystemic therapy (MST). Brief description, retieved from http://www.mstservices.com/pa_mst_medicaid_standard.doc, January 2011.